Xia had tried to climb Everest 43 years ago, but was turned back by powerful storms. 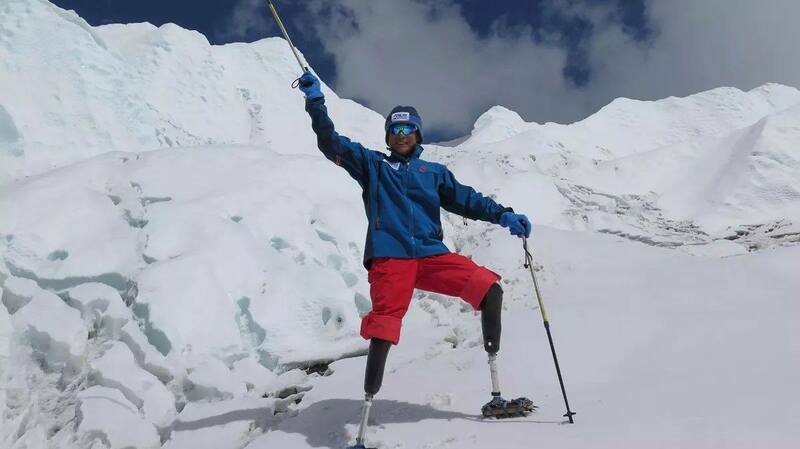 Pinned down in terribly cold weather, Xia suffered terrible frostbite damage to both of his feet, and they were removed by doctors once he came down from the mountain. Then, in 1996, complications from cancer claimed both of his his legs. Undaunted, or at least, deeply committed, Xia nevertheless made plans to climb Everest in 2014-2015, only to be turned away by canceled climbing seasons after multiple disasters befell the Everest community. In 2016 he made another attempt on the mountain, but was again turned back, this time only two hundred meters from the peak. Though several hundred more people will attempt to climb Everest before the season concludes later this month, Xia’s journey will surely be a highlight. Anybody else feel totally inadequate? I don’t care what people say about climbers on Everest, that has got to be a hard accomplishment.Well done.